The bull is back in China. 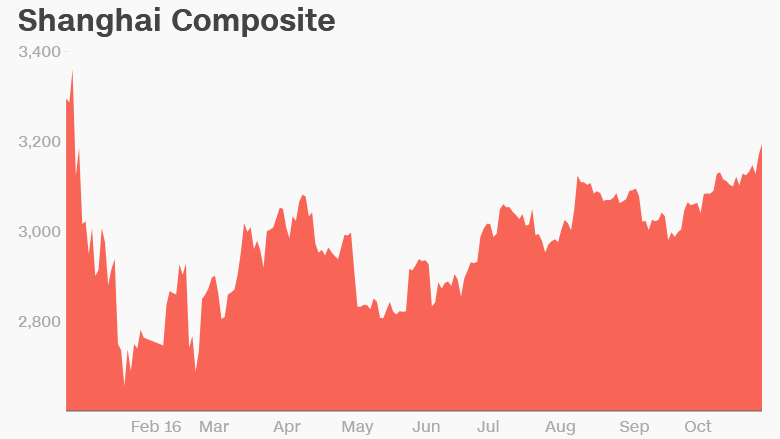 China's benchmark index, the Shanghai Composite, has rallied by more than 21% from its recent low in January when traders panicked and stocks cratered. A 20% rise is needed for stocks to technically be considered in a "bull market." However, the move higher isn't enough to compensate for the painful losses suffered by Chinese investors in 2008 and 2015. The Shanghai Composite is still down 48% from its 2007 pre-financial crisis high, and 38% below another smaller peak set last June. Chinese markets are extremely volatile because they're dominated by mom-and-pop investors who tend to follow trends, herd into stocks and then get skittish. The country's second-largest index, the Shenzhen Composite, is prone to even wilder swings. It's up 30% from its January low. Charlie Awdry, a fund manager at Henderson Global Investors who specializes in Chinese equities, said the new bull market resulted from a "stealth drift up" over the past few months rather than a sudden surge. 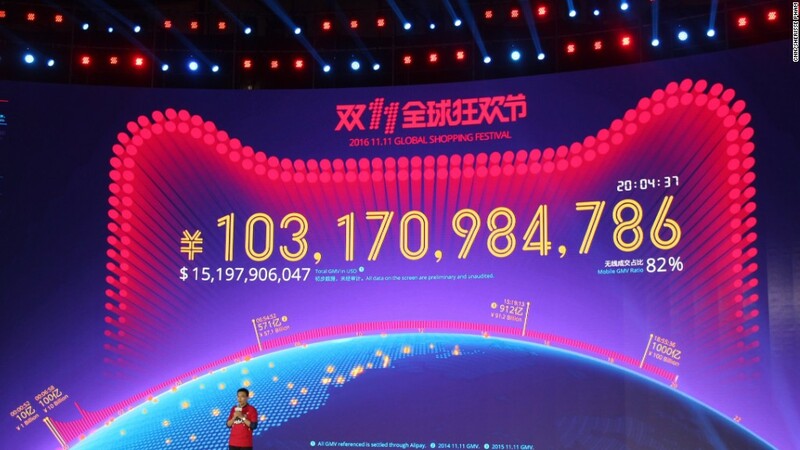 Trading volumes -- the number of shares traded each day -- are still pretty low, he said. Chinese investors are getting back into the market and bidding shares higher as they divert their money away from an overheated housing market that's becoming less and less affordable. The government recently moved to cool the market by introducing restrictions on purchases, and some investors have reacted by moving their money into stocks, said Awdry. Government spending on infrastructure projects and lending by state banks have also played a part in the stock market recovery. The stimulus measures are being taken to support China's slowing economy, which is growing by 6.7% annually. That may sound fast, but it's much slower than the double-digit growth seen in previous years. The start of the bull market in China comes immediately after Donald Trump's election win in the U.S., which helped the Dow Jones Industrial Average hit an all-time high on Thursday. But experts say there's no connection to the presidential election. "[Chinese investors are] probably watching the fact that Trump [was elected to be] President... but that's really not occupying much mindshare as they're trading this market," said Awdry. "They are dancing to a different tune than everyone else."